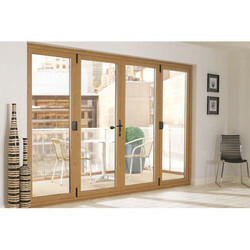 Leading Manufacturer of aluminum folding door, transparent glass door, aluminum glass door, automatic glass door and aluminum sliding door from Mumbai. 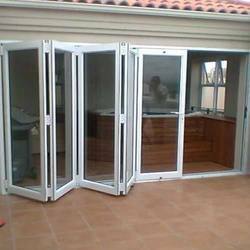 Being counted amongst the leading manufacturers and suppliers of this commendable range of Aluminum Folding Door, we engage in using the finest raw materials and modern machines in their manufacture. Owing to this, the offered product is quite sturdy, durable and resistant to corrosion. In order to provide the finest Glass Door to our clients, we engage in using quality raw materials and modern machines in their manufacture. Owing to this, its sturdiness, durability, and resistance to corrosion are highly commendable in nature. 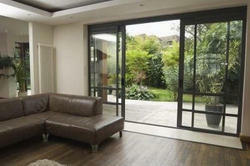 In addition, the offered range manufactured in accordance with the industry set norms, has its quality quite stabilized. 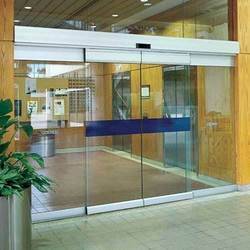 Backed ourselves with sound amenities and talented personnel, we have emerged as one of the leading organization engaged in offering Aluminum Glass Door. Our provided aluminum System window is made available in diverse customized options in accordance with the customer’s choice. 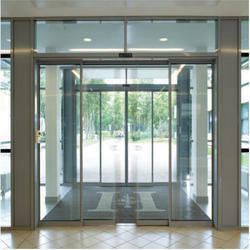 To provide the finest Automatic Glass Door to our clients, we engage in using the finest resources and tools available to us. The services made available by our skilled professionals are known to be standardized in terms of quality. In addition, for providing maximum satisfaction to our clients, we engage in using quality resources and modern tools.